It was a relatively quiet weekend hobbywise, but I have finally managed to get another Relic piece completed. 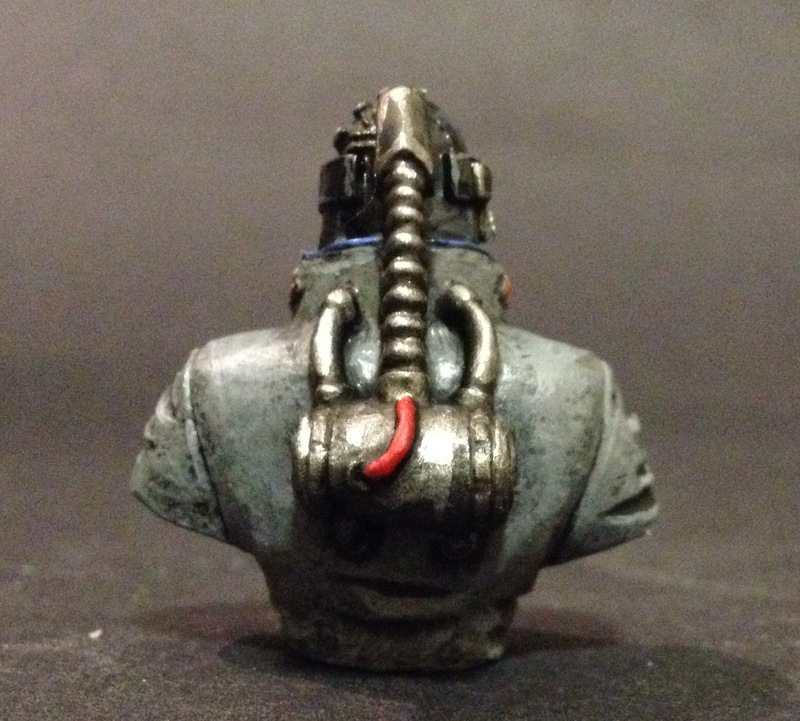 The Navigator is among the more simple busts included in the box, and I’ve tried to keep the colours in that theme to carry on the functional role that this guy plays aboard warp-capable ships. He’s very grey. I remember reading in one of the Black Library novels (though I can’t remember which one) about how Navigators age unnaturally quickly because of the stress their warpsight puts on them. 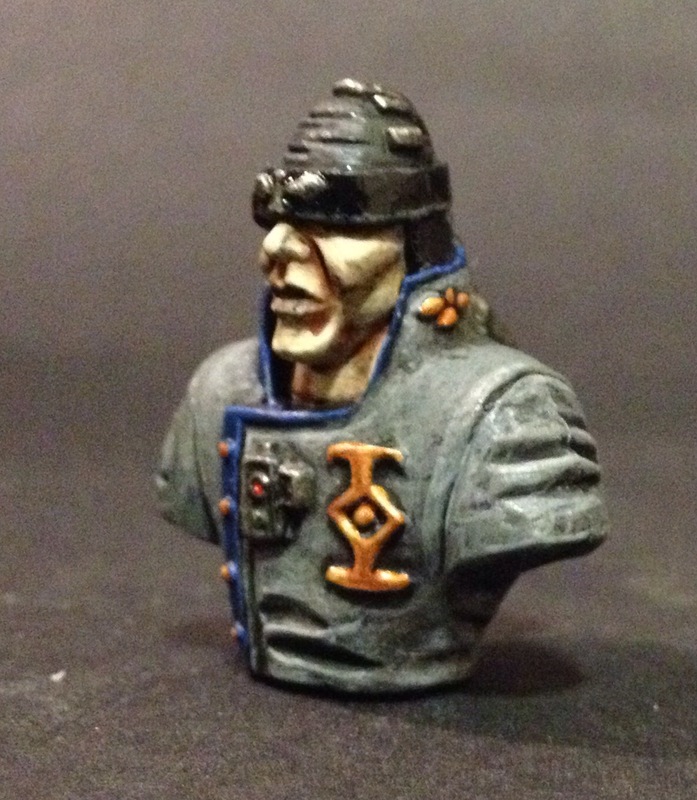 Therefore, I used bone shades for the skin and kept the uniform grey with a few embellishments that denote his importance. I’m pretty happy with this guy and he also marks half of the busts finished. Here are a couple more shots for you. 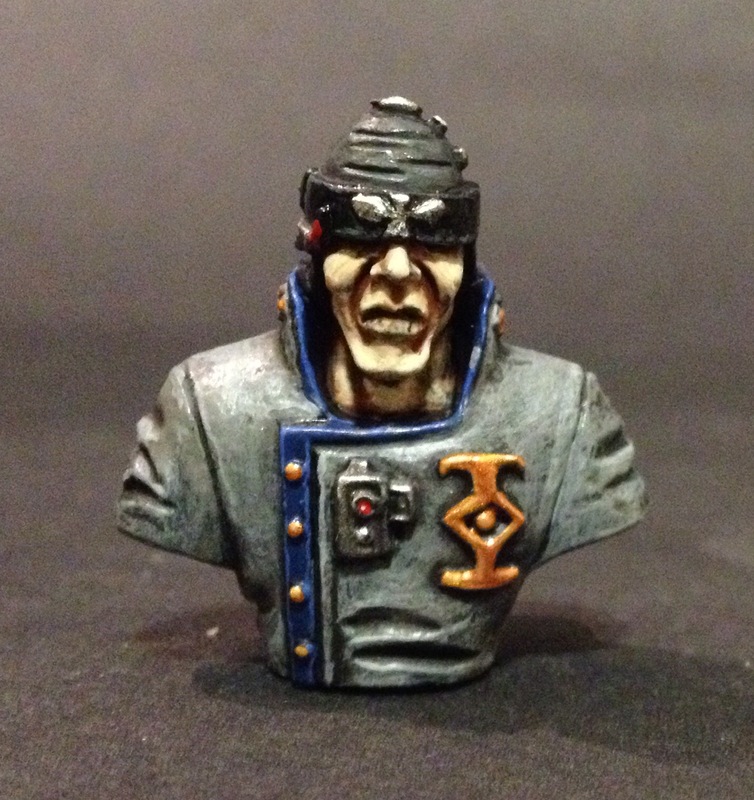 This bust was undercoated black and painted using Citadel Paints with a Windsor & Newton Series 7 Sable 000 Brush.